Based on the idea of Abbey Road Studios hardware and used on countless seminal recordings at Abbey Road during the '60s, including almost every album by The Beatles. Sometimes you just need to boost the brightness of a track and this plug-in gets the job done. Simply select the frequency using the selector buttons and then Boost or Attenuate that frequency by turning the big knob. 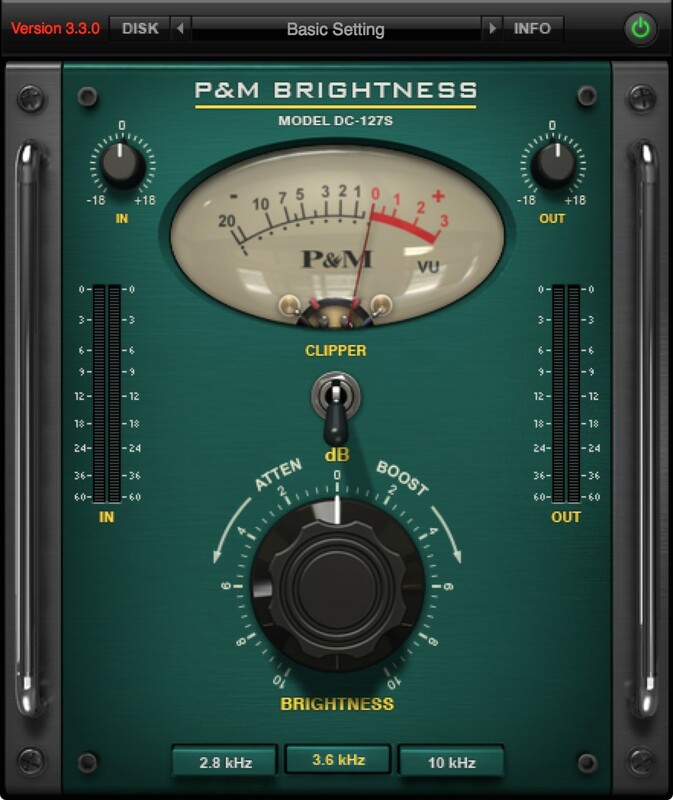 The result is an easy-to-use plug-in that can add (or reduce) brightness on any track. Fiip the Clipper switch to keep the signal from peaking. Brightness : Adds less or more brightness to your track. + or - 10db. Selector buttons : Select the frequency to boost or attenuate: 2.8, 3.6 or 10kHz. Clipper : Turns on the built-in Limiter to prevent peaking. Mix : Dry/Wet Mix of the plug-in. Out : Controls the output level of the plug-in.